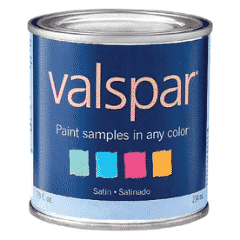 Click here to visit the Valspar facebook and like them. Then on the “Free Coupon” tab, you’ll be able to print a coupon good for a 8-oz. free sample of Valspar paint redeemable @ Lowe’s. This one’s only good for the first 150,000 people. Got through but coupon app won’t work?